When I was younger, I found a certain allure whenever I see the scene of a writer, lost in thoughts in his manuscript, the familiar clickety-clack of an old typewriter serving proving a rhythmic background. I guess, I equated it to the old age of romanticism, naively equating writers to “knights” and some other “Nobel” profession, with only their old Remington as weapon and trusty steed. 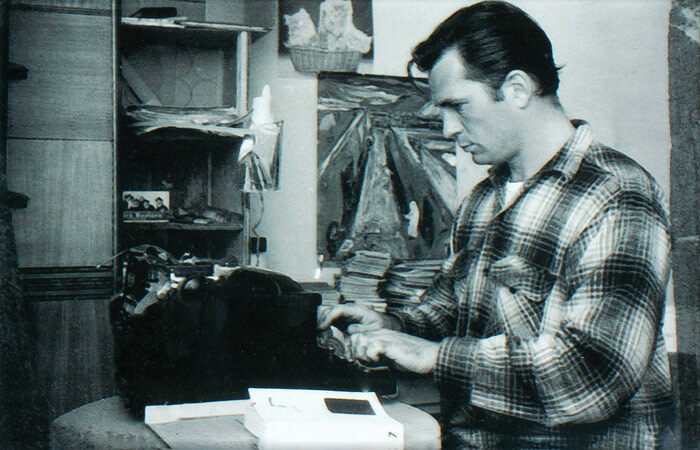 In a way, this scene – of a writer and his trusty machine – which turned into a compelling visual in my brain and played a big part of me wanting to be a journalist later in life. I did manage to make my dream come true when I was hired as a lifestyle writer for a major daily way back in the day. But by that time, stories were processed and written in huge desktop computers. Gone were the days of the Remingtons. Until writing finally gave way to corporate work where the large desktop finally gave way to the era of laptops and tablets and smart machines. 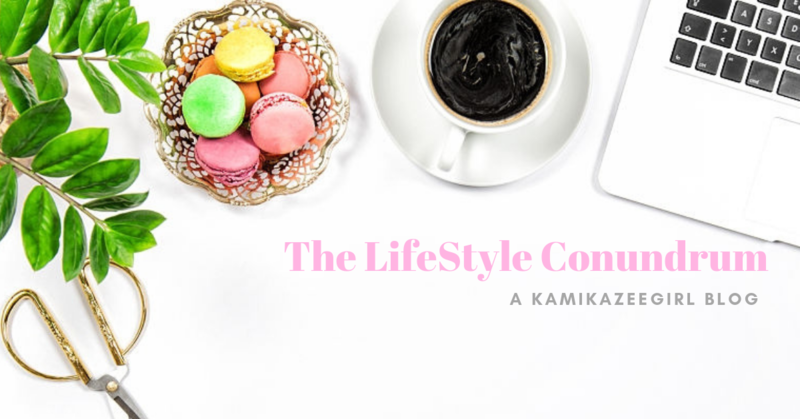 From a newbie writer, I became a PR practitioner, a communications executive, dabbled into graphic design and now has come full-circle by starting again as a writer and blogger. As a writer, graphic design newbie and blogger, my “trusty steed” is my laptop. Without it, I cannot maintain my blog, I cannot write any of my assigned articles. Right now, I am using the most basic laptop that my writer fund can allow which is fine–I can surf the net, write articles and post them and communicate with other bloggers–pretty basic stuff but gets the job done. But a girl can dream. Ask any practitioner from the creatives field (writers, graphic designers) on their dream gadget and most likely, it will involve the MacBook. That dream can now be a reality. 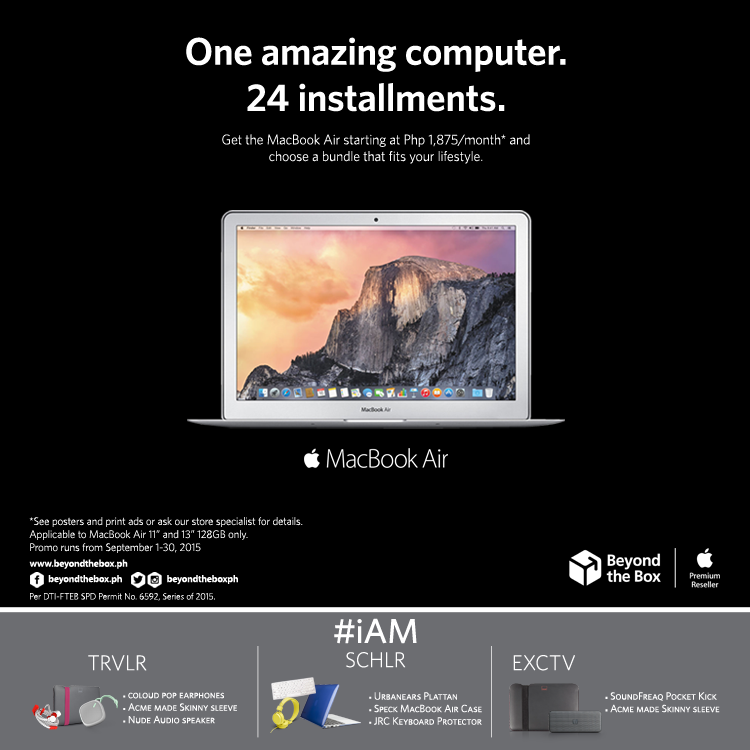 Think about this: the MacBook Air 11” & 13” 128GB variants now made available in super easy Zero24 installments, coupled with three unique lifestyle bundles at no extra cost. From the outside, the aluminum unibody design looks modern and minimalist. The tapering edges also make the laptop genuinely attractive and impressive. Although it’s the same chassis design we’ve been seeing since 2010, there’s really nothing to complain about since it resonates with unmatched quality that is distinctly Apple. Free-spirited, always out and about. 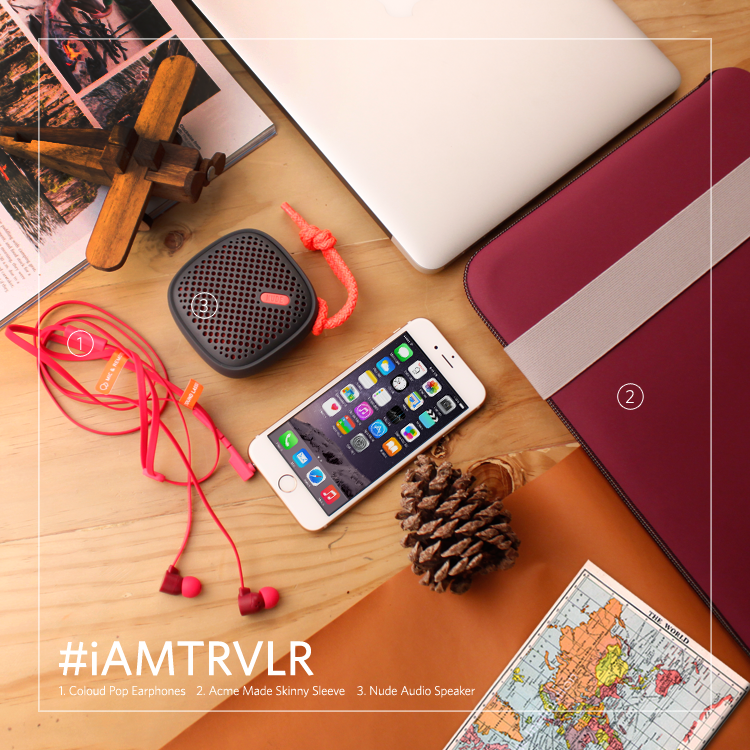 #iAMTRVLR – There is no greater feeling than packing your bags and knowing you’re heading to another adventure. That is what the TRVLR Bundle is all about. This bundle is targeted at individuals who travel constantly whether it’s for leisure or work. If you’re a correspondent covering the latest stories, a carefree tourist, or just someone who is in a perpetual working holiday, then this bundle is for you. Nothing compares to the overwhelming sense of accomplishment executives get at the end of a very productive day. 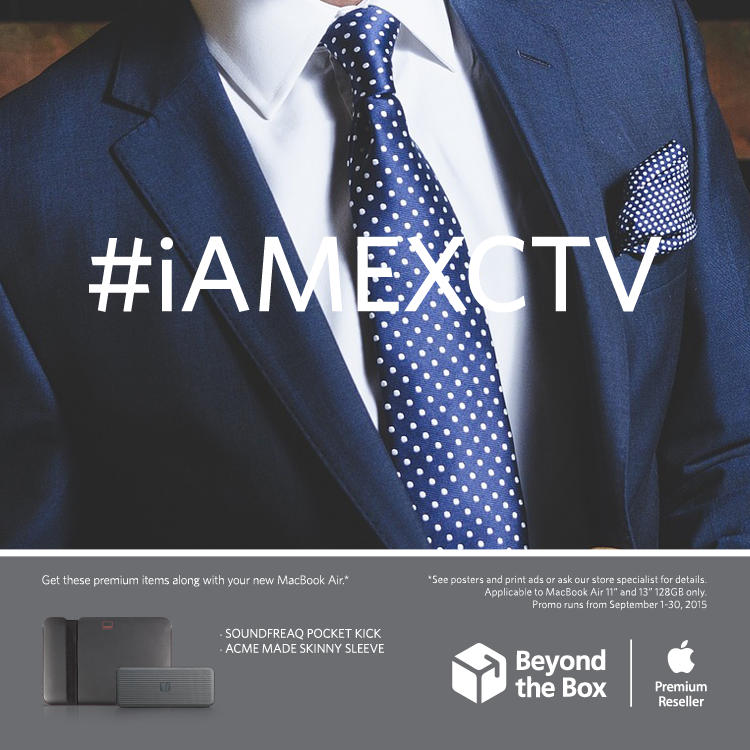 The EXCTV Bundle is for high achievers who lead by example and don’t settle for second best – ideal for office professionals and entrepreneurs. 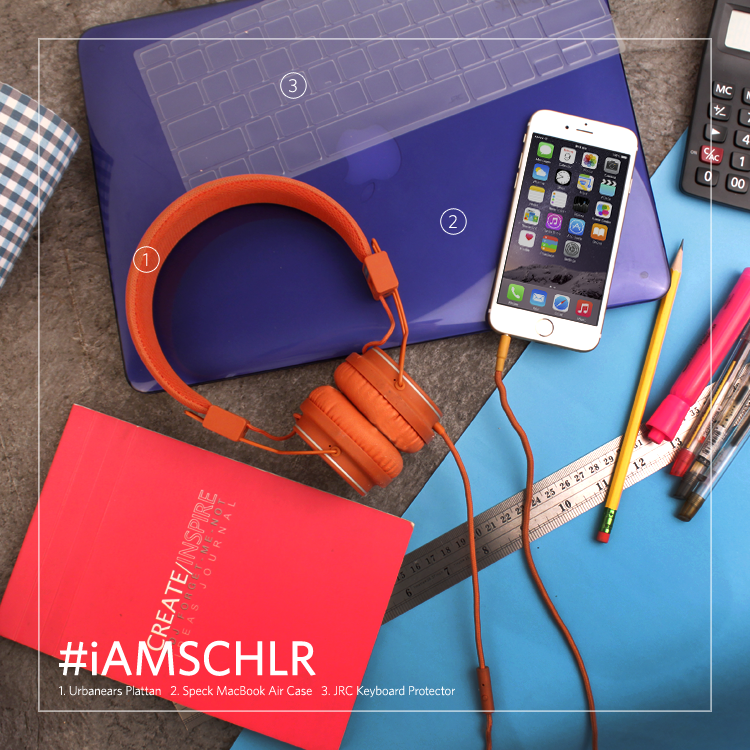 Inquisitive, thirsty for knowledge #iAMSCHLR (Bundle inclusions: MacBook Air + Urbanears Plattan, Speck MacBook Air Case, JRC Keyboard Protector) – The pursuit of knowledge never ends. The SCHLR Bundle seeks to cultivate inquiring minds, nurture curiosity, and aid academics in their quest to learn and educate. If you’re a student or an academic by profession, this bundle is the perfect option. * Please ask Beyond The Box store specialists for more details and for final price computations. DISCLOSURE: A part of this blog content is from a press release seeded to this site. KamikazeeGirl does not claim ownership of any of the information and images presented in this post.